"Very Spacious ! Close to all." Beautiful Studio apartment conveniently located near to all major highways and public transportation. Close to schools, colleges, parks, shopping centers and hospitals. Spacious with lots of natural light and beautiful hardwood floors. Plenty of closet space. 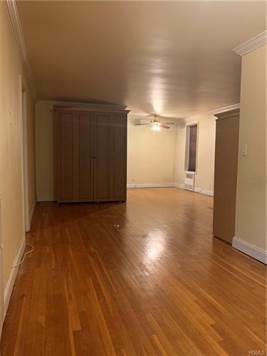 A MUST SEE	Close to Bus, Close to Park, Close to Railroad, Close to School, Close to Shops, Elevator, Hardwood Floors As Seen, Laundry Room/Common.